Samsung a few days ago has unveiled its new smartphone top of the range, the Galaxy S7 (available also in the version edge). This was presented as the smartphone that will pass below all the points of view of the devices of rival companies, such as Apple. 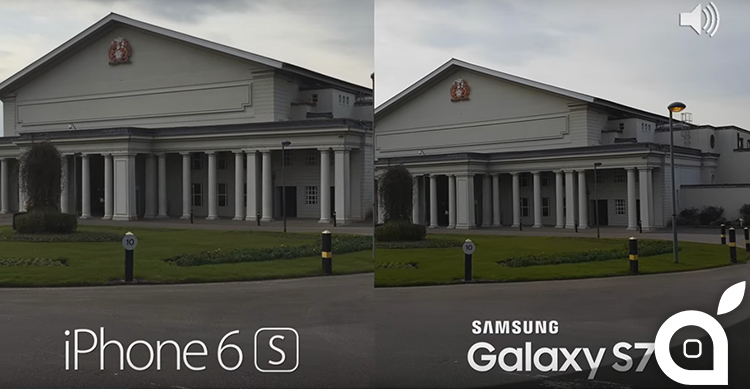 Here is a comparison limited to the cameras between the iPhone 6s/6s Plus and Galaxy S7. During the Unpacked event In 2016, Samsung has praised, in particular, the camera of the Galaxy S7. This was produced by Sony, and has a sensor-12MP, 1/2.5" IMX 260 with an aperture from f/1.7 that allows you to capture 95% of light more than the Galaxy S6. On paper, the Galaxy S7 is second to none in terms of the department of photography, but how it behaves in real-life situations? Let's find out with the new video SuperStaf, which compared the top of the range Samsung with iPhone 6s/6s Plus Apple (presented in September 2015, ndr), that have a camera 12MP with an aperture of f/2.2 and autofocus PDAF.